We are excited to have rosieMADE sponsoring this event! Fantastic company representing Made in the USA products!! Thanks for the great giveaway. The Dream Chocolate sounds wonderful!Such a great basket filled with lots of goodies! I love trying new teas, never heard of this brand/sponsor thank you for the opportunity. Wow this would be so nice to win. Thanks for this. The basket sounds fantastic, thanks for the giveaway! 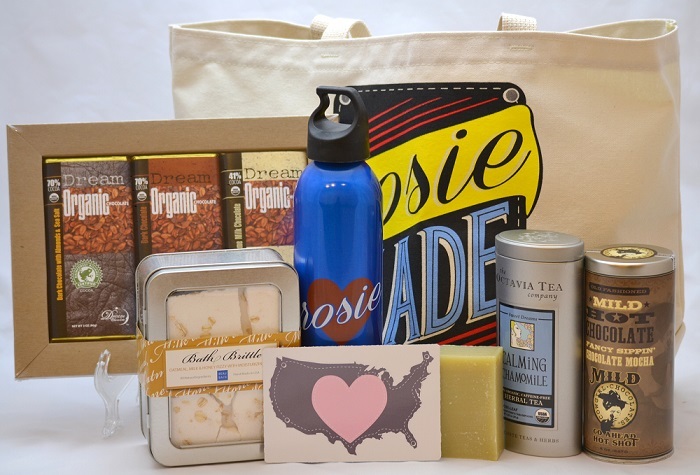 I've never heard of rosieMADE but I like learning about new, small companies, thank you! I would love winning all of these great products! I love these types of products! :) Thank you! I'd like to try a shampoo bar. Love the variety of products. How fun to try them. Thanks! I LOVE learning about new companies and awesome products like these. thanks! Great giveaway, thanks! I have heard great things about cowgirl chocolates products...yum. What an amazing prize pack! I really like the bath brittle. I'm definitely keeping my fingers crossed, I would love to try many of these items, especially the cowgirl chocolates. Great giveaway. What a nice Valentine's Day gift this would make! WOW this is a GREAT giveaway. I can't wait to try the chocolate and cocoa. 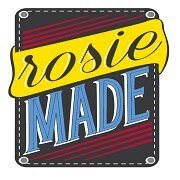 I would love to try Rosie Made products! I'd love to try the Tea. Lots of nice things to try and share; would really like to try the oatmeal bath brittle. I love their selection of items! This gift basket sounds perfect for us too! excited to try the bath brittle! what a cute name! you had me at chocolate, LOL! thanks for the great giveaway and chance to win! Tea tree is so good for hair. Great basket choices! I would love to try the tea! Thanks for the giveaway.. This rocks. I love finding new products that are made in the USA! I can't wait to check 'em out! Wow! You really put a lot of thought into what went into the basket! You really put a lot of thought into what went into the basket! The Tea Tree Peppermint Shampoo Bar sounds awesome! I bet the chocolate is yummy. The fact that everything is made in the USA is even better. Looks like a great gift basket. This looks absolutely amazing. A great way to pamper yourself! I'd love to try the tea tree peppermint shampoo bar! Those chocolates sound so good!! This is a lovely prize. 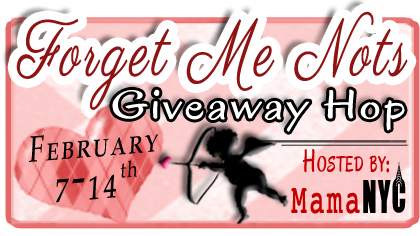 Thanks for the chance to win and Happy Valentine's Day! I love all the chocolate varieties!!! I've never heard of rosieMADE looks like they have a lot of great products.